The Day The Internet Threw A Righteous Hissyfit About Copyright And Pie Yesterday brought a giant dust-up over a magazine lifting its content from the Internet on the assumption that if you see it online, it's in the "public domain." So you might have heard a story yesterday about a little magazine called Cooks Source. Up until then, you might never have heard of Cooks Source. But maybe you've heard of "the Internet." Cooks Source now undoubtedly wishes it never had. 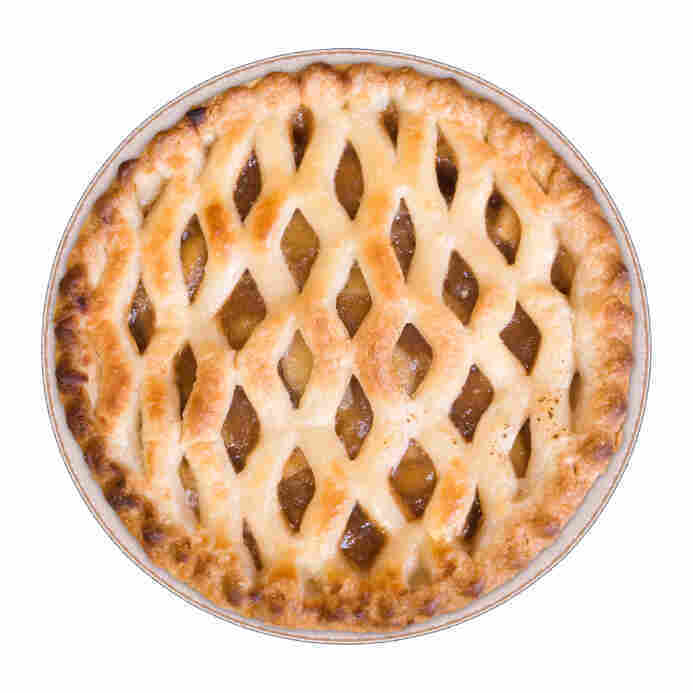 On Wednesday evening, a blogger named Monica Gaudio posted a story in which she told of learning that Cooks Source had taken a piece she wrote about apple pie -- specifically this one -- and simply copied it into the magazine. As you can see from the scanned page (Gawker, for instance, has it), the magazine credited Gaudio with a byline. It didn't pretend to have come up with her story itself; it just seemed to believe it could copy her story and run it in a free, ad-supported (and therefore revenue-generating) magazine without telling her, let alone compensating her. ...Honestly Monica, the web is considered "public domain" and you should be happy we just didn't "lift" your whole article and put someone else's name on it! It happens a lot, clearly more than you are aware of, especially on college campuses, and the workplace. If you took offence and are unhappy, I am sorry, but you as a professional should know that the article we used written by you was in very bad need of editing, and is much better now than was originally. Now it will work well for your portfolio. For that reason, I have a bit of a difficult time with your requests for monetary gain, albeit for such a fine (and very wealthy!) institution. We put some time into rewrites, you should compensate me! I never charge young writers for advice or rewriting poorly written pieces, and have many who write for me... ALWAYS for free!" So Monica's story began to get around. And it got around, and around, and around. (My own tweet linking to it was retweeted more -- and more quickly -- than I can ever remember happening with anything else.) The story first made it to online interesting-stuff-finders like Metafilter and BoingBoing, and in one of the Nuclear Events Of Social Networking, it was tweeted by Neil Gaiman. At this point, the Internet, en masse, descended on the Cooks Source Facebook page. At this point, of course, the very reasonable and often funny comments that supported Gaudio and condemned the magazine's actions were thrown into a giant whirlwind with the comments from people acting like violent, threatening creeps in support of what they considered to be justice. So far, of course, it was still tough to know exactly what happened, because it was mostly Gaudio's story, and Griggs and the magazine hadn't really spoken. But, as it does, the online mob then went in search of other examples, figuring that if Griggs really believes the Internet is "public domain," why on earth would she bother obtaining content the old-fashioned way? Wouldn't it stand to reason that many other things would also be swiped from online sources? Folks weren't just finding articles, either -- it was about photos, too. What makes this story astonishing, really, is that unless it's an incredibly elaborate hoax, this isn't some isolated example. This is how this magazine apparently did business for years -- and that lends credibility to the idea that Griggs may have honestly thought that she was allowed to just copy whatever she wanted from the Internet. Again, she was crediting the authors. Not always the sources, but at least the writers. It's a weird head-fake in the direction of treating people fairly, which smells a little bit like -- just as she told Gaudio -- she actually thought this was fair. There's much about this that isn't known, and it's important to hold to your skepticism about some of what's happened since this turned into a meme (for instance, some additional obnoxious responses showed up on Facebook yesterday purporting to be from Griggs, but not everyone thinks they actually were). Griggs hasn't been heard from directly since all this happened. Internet justice is always swift and often severe, which can be satisfying at a moment like this if you happen to be a person who creates content. At the same time, it's a really sobering reminder that in this case, the mob may very well be correct, but what would it have taken to slow it down if it weren't true?